Alex is a trial lawyer and counselor. He has over 20 years of private practice and in-house experience spanning multiple industry sectors around the globe. 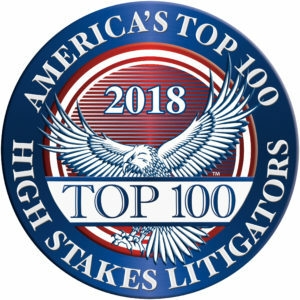 Alex’s practice focuses on complex disputes involving trade secrets, non-competes, commercial real estate, employment, corporate/shareholder matters, insurance, and contracts. Alex also provides advice on commercial real estate transactions, risk management and corporate transactions. Most recently, Alex spent over five years as General Counsel of Colliers International Group, Inc., where he oversaw the company’s global legal operations and its growth into a multi-billion dollar, publicly traded entity. He personally managed the company’s strategy in defending against high value, strategic litigation in jurisdictions including Canada, United States, England, Switzerland, P.R.C., Hong Kong, India, and Malaysia, and acted as director and secretary to its offshore captive insurer. Prior to Colliers, Alex was senior counsel to the Saudi Arabian Oil Company (Saudi Aramco) in Dhahran, Saudi Arabia, where he oversaw complex multi-billion dollar international arbitrations involving infrastructure and construction matters. He also handled special matters including financial compliance for project financed mega-projects, governance and legal issues surrounding the company offshore captive insurer, and alternative energy pilot ventures. Prior to his in-house experience, Alex was a partner in Seattle with an AmLaw 100 firm. Alex draws on his varied experience to find novel solutions to his customer’s concerns. Having been a consumer of legal services as well as a provider, Alex provides a customer-centric approach to finding a fit-for-purpose, fit-for-risk solution. Alex seeks to find solutions that are placed within the customer’s larger business context, allowing the customer to make the necessary business decisions to continue successful operations. While not at work, Alex enjoys long distance road biking, snowboarding, attending his daughter’s soccer tournaments, camping and world travel with his family. Cypress Ins. Co. as subrogee of Microsoft Corp. v. SK Hynix America, Inc. (U.S. District Ct., Western District of WA 2019). Obtained defense verdict after 10-day jury trial before U.S. District Judge Richard A. Jones in $175mm breach of contract action involving breach of DRAM semiconductor chip manufacturing contract. Grego et. al. v. Med-Data, Inc. et. al. (U.S. District Ct., Eastern District of WA 2018). Obtained summary judgment on behalf of Med-Data in putative class action seeking damages for violation of consumer protection act and related claims. Evergreen Moneysource Mortgage Co. v. Axis Insurance Co. (U.S. District Ct., Western District of WA 2018). Successfully obtained settlement of insurance coverage action on behalf of insured for wage and hour class action costs through early case assessment and early mediation. Red Lion Hotels Franchising Co. v. First Capital Real Estate Investments, LLC, et. al. (U.S. District Ct., Eastern District of WA 2018). Secured summary judgment ruling awarding $1.3 million for breach of contract claim. Teck Cominco Metals v. Pakootas (U.S. Court of Appeals, Ninth Circuit 2007). Represented Province of British Columbia as amicus in 9th Circuit appeal and before U.S. Supreme Court seeking certiorari with regard to underlying CERCLA claim involving contamination and clean-up of Snake River. Lam Research Corp v. Deshmukh: (U.S. District Court, Western District of WA 2005) Secured 13-month preliminary injunction based on inevitable disclosure of trade secret doctrine on behalf of semiconductor wafer manufacturing company. UAP Holding Corp. v. Maitoza, et al. : (U.S. District Ct., Western District of WA 2006) Successfully resolved non-competition, corporate raiding and trade secret claims alleged by industry competitor in chemical fertilizer industry. Expedia Australia Pty Ltd. v. Travel Holdings, Inc., et al. : (U.S. District Ct., Western District of WA 2006) Resolved non-compete and trade secret litigation against competitor through pursuit of multi-jurisdictional litigation in New South Wales, Australia and Seattle, Washington. Greenpeace et. al. v. National Marine Fisheries Service, et. al., (U.S. District Ct., Western District of WA 1998) Represented trade association intervenor group in endangered species act injunction litigation. Represented tenants in multiple commercial real estate leasing assignments throughout United States. Negotiated $450mm four-currency credit facility on behalf of borrower. Provide outside general counsel services for satellite manufacturing joint venture. Managed development of F.C.P.A. and UK Bribery Act policy, internal training program and related investigations. Managed and developed strategy for organization of offshore captive insurer to insure Company errors and omissions risk with approximately $3 million in net income over two-year period. Provide employment law advice in United States and direct negotiation of executive level employment agreements. Managed and conducted M&A and related due diligence on over 25 transactions across the United States, France, United Kingdom, Germany, and Brazil. Resolved over $800 million in integrated disputes involving construction of $12 billion petrochemical facility via I.C.C. arbitration in London, England. Managed drafting of RFP, pro forma direct and EPC contracts and related negotiations over development of 1000 MW gas-fired cogeneration power plants. Managed contractual compliance matters involving four project financed BOOT cogeneration power plants. Negotiated PPA, installation and joint venture agreements for Company’s solar energy pilot projects team. Negotiated multi-year framework level procurement agreement for turbines and pumps with multinational corporations located in Italy, Japan and Germany. Managed financial compliance for $6 billion project financed (traditional and Sharia) lending facilities for construction of petrochemical plant. Resolved $750 million delay/change order dispute with prime EPC LSTK contractor on construction of $4 billion graduate-level science and engineering institution.